Hello everyone. I hope you are having a great summer. My family keep sending me emails saying how hot they are with the temperatures in the 30C (86F) while we are not enjoying the glumest, coolest summer in years. I am writing this on one of the only days I have been able to comfortably wear shorts all day. 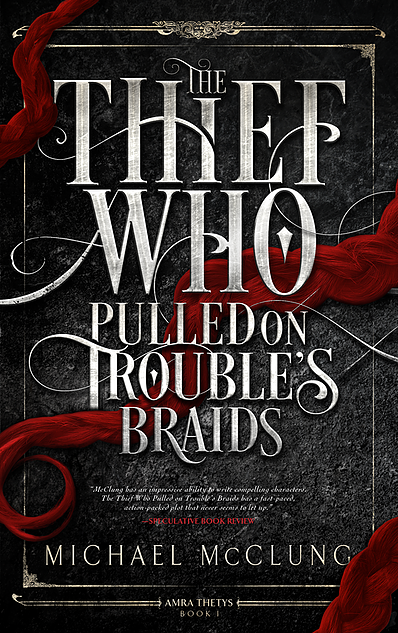 I am still very busy reading self published fantasy for SPFBO but decided to have a read of last year's winner Michael McClung's The Thief Who Pulled on Trouble's Braids which won the first SPFBO and is now published by Ragnarok Publications. I really enjoyed the story of Amra Thetys, the thief with a heart. When Amra's friend and fellow thief Corbin leaves her with an ugly toad-like statue right before being brutally murdered. Amra decides to get revenge for her friend. This isn't an easy task especially when she discovers what and who she is up against. 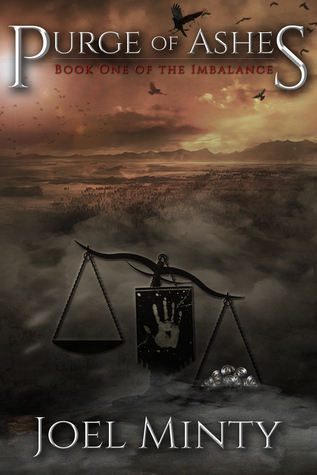 Sorcery, magic and a great murder mystery all rolled up into this first instalment of the Amra Thetys series. 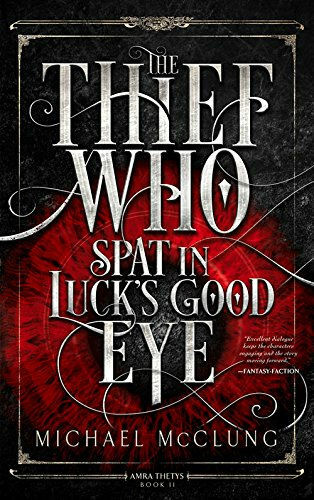 The Thief Who Spat in Luck's Good Eye starts not long after the events of book 1. The gods are looking for a hero....and basically to mess around with a couple of humans and look no farther than the thief Amra and her mage friend Holgren. Amra agrees to help Holgren search for the lost city of Thagoth to find the secret to immortality. Waiting for them in the lost city are the twin gods Tha Agoth and Anthagos whose elicit affair is as damaging as it is dangerous. Amra and Holgren might be pawns of the gods but when a mad sorcerer wants to use the twins to gain enough power to take over the world the thief and the mage know exactly what they need to do....whatever the risk. I enjoyed book 2 as much as book 1 and despite its rather more serious tone it was quite amusing in parts. We also got to learn more of Amra's past and how she came to be a thief. There was also a significant development in Amra and Holgren's relationship that helped to make these two more believable as characters. This instalment was a lot more fantasy than book 1 but just as enjoyable. 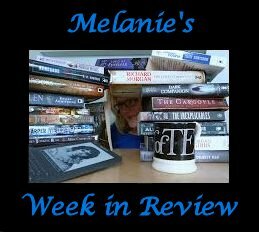 I enjoyed it so much that I was really looking forward to piling into to book 3, The Thief Who Knocked on Sorrow's Gate, and I will have a review copy soon! Back to SPFBO2016 and I picked up Purge of Ashes by Joel Minty. I am afraid dear reader that I didn't make it past page 20 of this high fantasy story. I tried to give it a go as I don't like giving up on a book after so few pages but I couldn't do it. Purge of Ashes was not the book for me. I don't enjoy flowery, verbose prose, 10+ main characters or short stilted chapters in which you have no clue what is going on. This is a DNF for me. That is it for me this week. I have 1 more book for this round of the SPFBO and I am keeping my fingers crossed that I like it. Come back next week and see what I thought but until then Happy Reading.